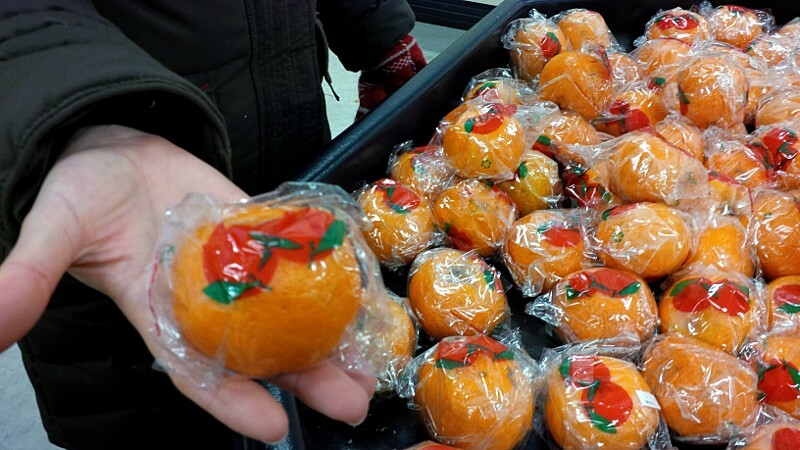 So the East Dodgeville Loblaws is now carrying individually wrapped mandarins. I’m not sure why these little oranges need to be wrapped in plastic when all of the other ones seem to survive just fine in nothing but the all-natural, easy-open, biodegradeable, and universally identifiable wrapping that’s built-in at the factory, but there you go. Another product innovation from the people who brought you individually tagged mushrooms.